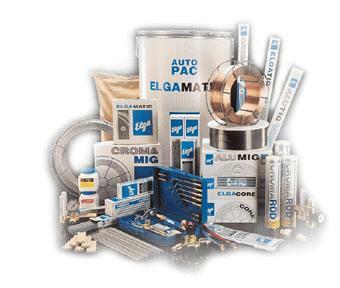 Elga was founded in 1938 as a family company, manufacturing welding consumables and gas equipment. Their range of products covers even the most demanding welding applications. Elga has invested in its line of manufacturing, in order to reduce quality cost. As a result of this investment, the company became one of the first manufacturers in the field, to be awarded with ISO 9001. For several decades Elga was a supplier to the ship building industry of Sweden. When the crisis in this industry began, Elga decided to move on and invested in the research and development of new electrodes, specially designed for demanding applications. In the past ten years Elga has developed more than forty electrodes for welding stainless steel, which are considered to be among the best electrodes in their category. As a result, within the past ten years, Elga's turnover has quadrupled, and the company has remained dynamic and independent. Since February of 2000, Elga is part of the ITW (Welding Products Group). Our company represents the full range of products of Elga. For more information and detailed technical features please visit the Elga's web site.